Wharton’s highly selective Ph.D. program in Applied Economics offers students many resources not available at other institutions, such as a 1:1 faculty to student ratio and an up-front guarantee of five years of funding with minimal teaching requirements. 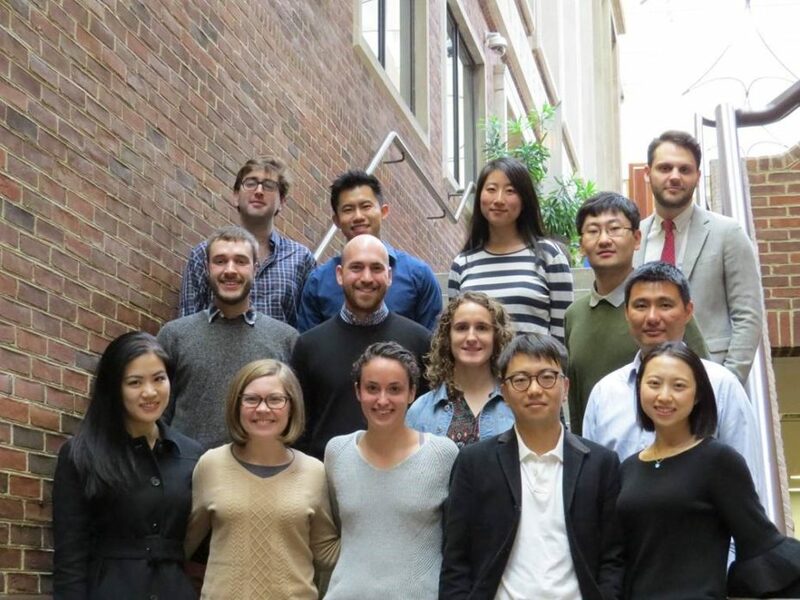 Combining the faculties of the departments of Real Estate and Business Economics & Public Policy, Wharton’s Applied Economics program leverages the breadth and depth of its faculty to prepare students for careers doing frontier theoretical and empirical research. Students can focus on a variety of areas including Behavioral Economics, Development Economics, Energy and Environmental Economics, Industrial Organization, Market Design, Public Economics, Risk Management, and Urban Economics and Real Estate. Students may also develop an inter-disciplinary focus by taking courses and working with faculty in some of the other departments at Wharton such as Finance, Health Care Management, Management, and Marketing. All admitted students are granted a fellowship, including tuition, fees, and stipend. Applications for matriculation in Fall 2020 are due December 15, 2019. Prospective students interested in pursuing a degree in Applied Economics must apply for admission to the Wharton Doctoral Programs in Applied Economics. Applicants may, if they wish, indicate a preferred field of study in their application. All applicants must provide valid test scores — the Applied Economics program accepts only the GRE. We do not require a minimum GRE score, however math scores among students admitted in the last few years were all above the 90th percentile. In making our decision, we look at your GRE scores as well as the rest of your application: grades, coursework, work and research experience, essays, and recommendation. We recommend at least three courses in mathematics, such as calculus, linear algebra, and real analysis, and at least three courses in statistics/econometrics. We prefer an economics undergraduate degree along with the math requirements noted above or a math/statistics degree with several courses in economics (at least up through intermediate microeconomics and macroeconomics).